Easter Island is over 2,000 miles from the nearest population centre, (Tahiti and Chile), making it one of the most isolated places on Earth. A triangle of volcanic rock in the South Pacific - it is best known for the giant stone monoliths, known as Moai, that dot the coastline. The early settlers called the island "Te Pito O Te Henua" (Navel of The World). 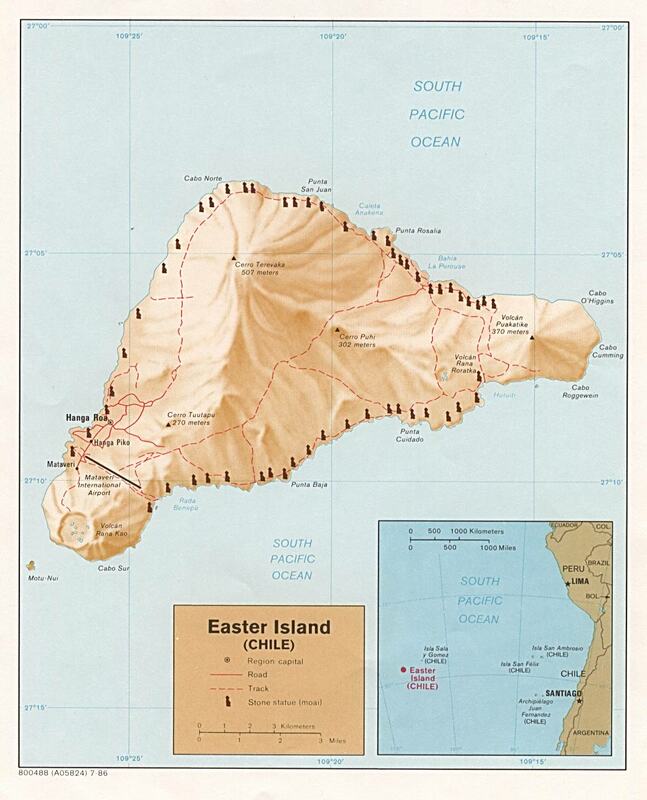 Admiral Roggeveen, who came upon the island on Easter Day in 1722, named it Easter Island. Today, the land, people and language are all referred to locally as Rapa Nui. Easter Island today, remains one of the most unique places you will ever encounter; an open air museum showcasing a fascinating, but unfortunately lost, culture. The Rapanui are among the friendliest people you will ever meet, and the landscape is truly amazing - with its volcanic craters, lava formations, beaches, brilliant blue water, and archaeological sites. Discover the attractions and "secrets" of Easter Island with this 4day/3nights island stay package.